Have you stopped by Lochte Feed lately? Kristen has been busy stocking the store with cute fall clothing and jewelry just in time for fall. 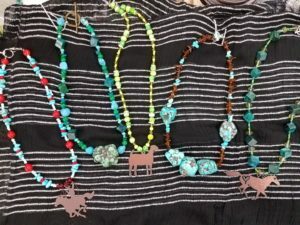 Check out the handmade jewelry from local artists. We love supporting the local community – shop local! 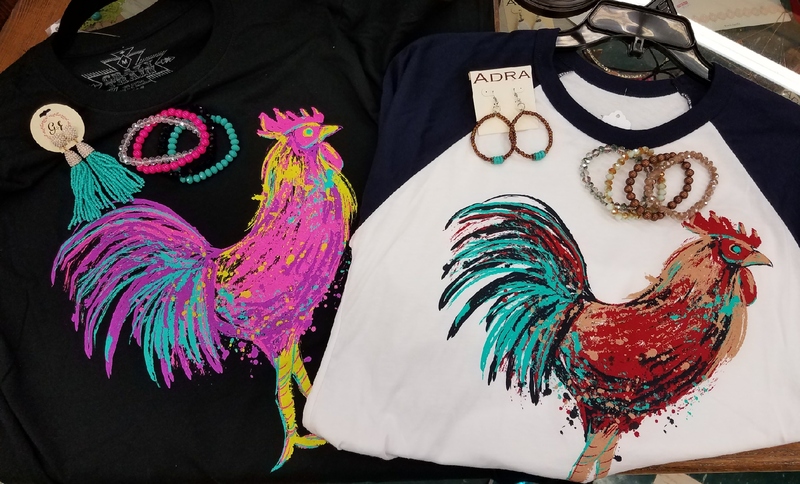 How about these fun rooster and chicken t-shirts? We love the pop of color. Match them with some handmade earrings. We love the Wrangler denim long sleeve shirt paired with this vest. 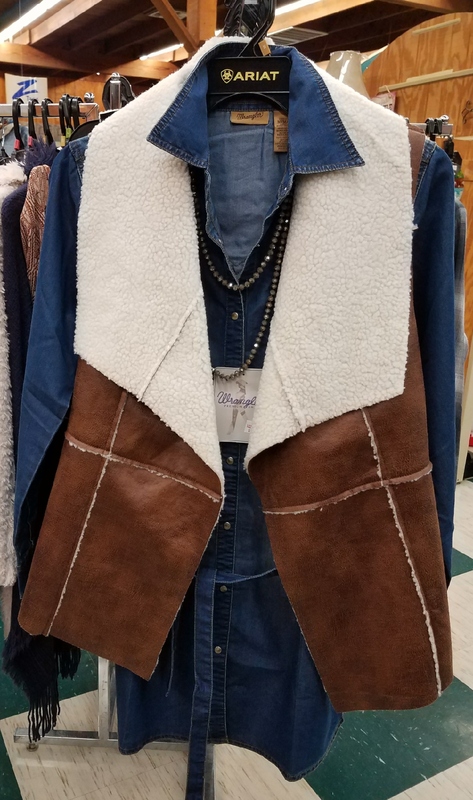 Perfect for those cool Texas nights. 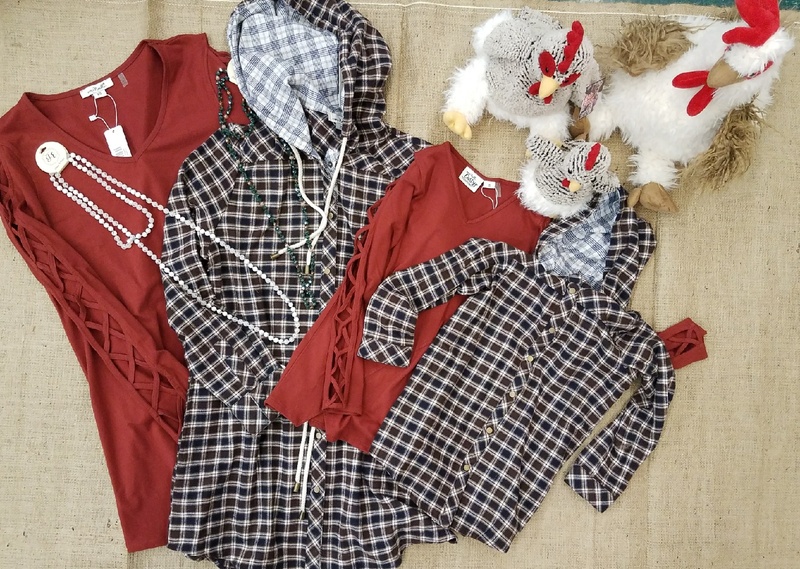 You’ll find scarves, purses, shirts and even some seasonal holiday wear in the store right now. Looking for a mom and daughter matching outfit? We have some! 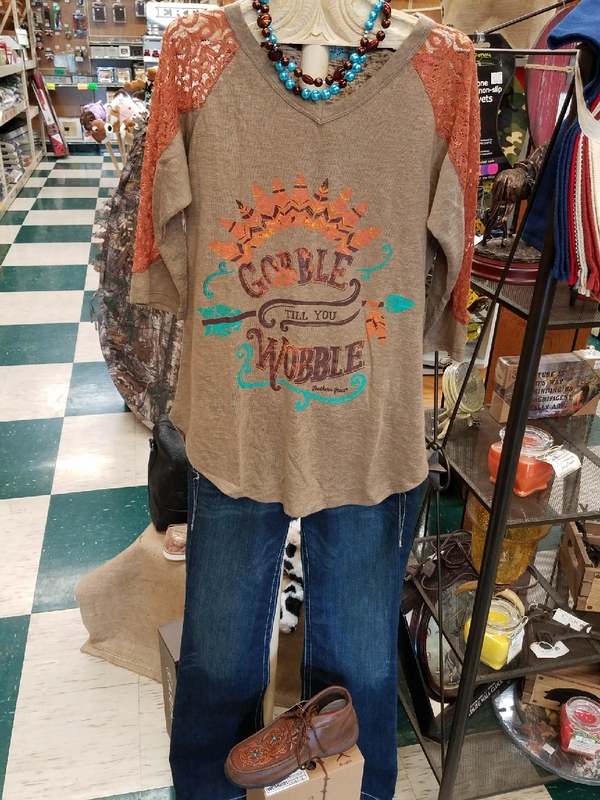 Perfect for those holiday photo shoots. Come shop Lochte Feed this fall! This entry was posted on Tuesday, October 3rd, 2017 at 5:23 pm	and is filed under News & Updates. You can follow any responses to this entry through the RSS 2.0 feed. Both comments and pings are currently closed.